Everybody loves splashing around in water in hot summer days. Actually, it doesn't even need to be that hot, and when I say everybody I mean everybody, including our dogs! Ever thought of getting your four legged friend a specially designed paddling pool? We've looked at some options online, read on and find out more about paddling pools for dogs and where to buy them. 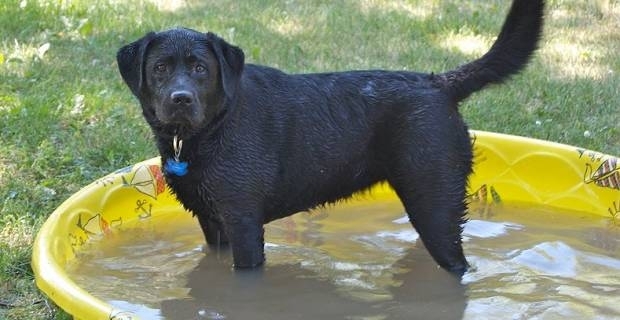 Many dog owners simply resort to buy children wadding pools and use them as paddling pools for their dogs. Sometimes it can be cheaper, especially when the dogs aren't too big and heavy. The Chad Valey wading pool for instance, has a sturdy enouch base, is made in hard, flexible plastic that doesn't need blowing up, but it doesn't have a plug. 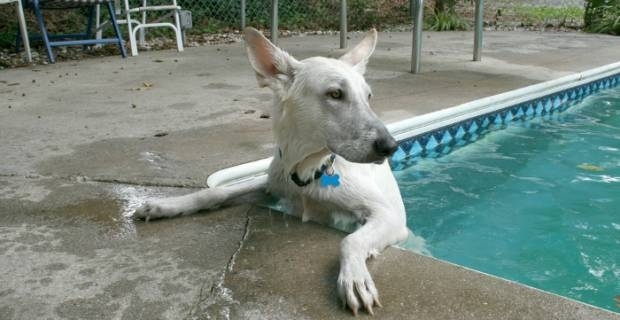 Rather, you may have to tilt the pool over to let the water flow out- that's in case there will be any left after your dogs' splashing around in it!